Disciplinary action occurs when a rule or standard of conduct in the working environment has been breached and cannot be remedied by any other means. However, this step can only be taken when an allegation of misconduct has been proven by means of evidence. Employees are expected to conduct themselves according to standards of conduct and regulations prescribed in terms of labour legislation. Failure to abide by these standards, results in an employee facing a disciplinary enquiry. This process is aimed at ensuring that both parties (employee and employer), whether aggrieved or involved, are provided with a fair and equitable opportunity to represent their case. An employer is obliged to ensure that their staff members are knowledgeable and aware of the standards of conduct and regulations in a working environment and to inform them of the required code of conduct in the workplace. Employees are required to abide by this code of conduct and regulations set out by the employer, to familiarise themselves with the code of conduct and ensure that they comply with these requirements at all times within the workplace. Management has to inform the employee of the nature of the alleged offence and explain in detail all the facts of the case to be brought against the staff member. The employee should be afforded reasonable time to prepare and must be present at all times during the enquiry when evidence is being led. The form of disciplinary action may vary and will in most cases depend on the seriousness of the alleged misconduct or if the employee has previously contravened the same rule. The severity of an offence determines the type of action – if the offence is not of a serious nature such as constant late coming, then informal disciplinary action is applied by issuing the employee with a verbal warning. Whereas when a formal disciplinary enquiry is held it would be on more serious grounds such as an employee facing suspension. In this instance, a disciplinary enquiry is appropriate given that the employee’s job is dependent on the outcome of the enquiry. After suspension, an investigation is launched and conducted by management. Thereafter, a hearing is held whereby both the employer and employee must be present. Who may attend a disciplinary hearing? Parties that may attend a disciplinary hearing are a representative from management, the employee and their representative (if necessary), and witnesses for both parties or either party. Management or the employer must notify the employee of the disciplinary enquiry within a reasonable period of time providing all relevant details pertaining to the inquiry such as, time, place, and alleged offence. The hearing itself is conducted by the chairperson and the employer will proceed to present his/her case by means of evidence and calling witnesses, if so required. Thereafter, the employee must be given an opportunity to respond to the allegations made against him/her and question the witnesses by counter arguing and presenting his/her own witnesses. 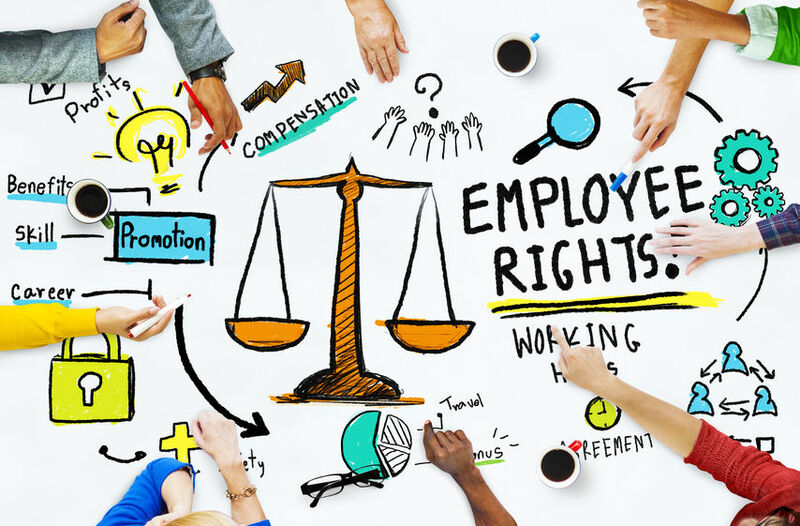 Based on the evidence represented by both parties, the chairperson must make an informed and impartial decision regarding the appropriate sanction and enforce it against the employee. However, if the chairperson is not convinced by the evidence, the employee should be given an opportunity to make further representations, if necessary. If the employee is not satisfied with the outcome, he/she may appeal the matter and alternatively refer the matter to the CCMA or Bargaining Council (whichever is applicable). Employers and employees should be mindful when initiating a disciplinary procedure as the outcome carries significant consequences for both parties. For any assistance with matters related to Labour and Employment Law, disciplinary hearings, the CCMA, arbitration, and dispute resolution, please contact our experienced attorneys.